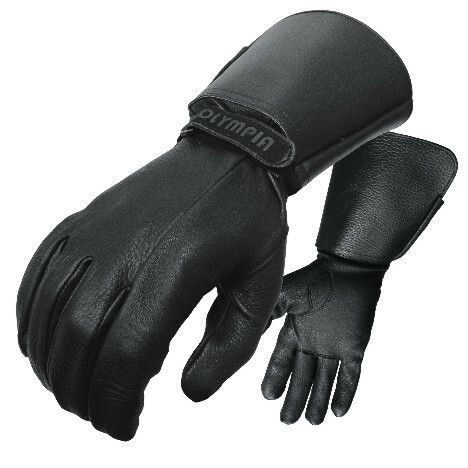 The Olympia 146 Deerskin Classic Gloves are soft as butter, and surprisingly warm. Perfect for those “frost on the ground” morning rides, spring through fall. Top quality, supple deerskin gives you just the right feel of the controls, and a stiffer flared leather gauntlet keeps cold air out of your sleeves. Thinsulate insulation keeps hands warm down into the 40’s; add a liner and you can be warm into the 30’s as well. If you’re looking for a soft comfortable glove, that fits right and provides warmth without bulk on chilly mornings, this deerskin classic is for you. No need to break them in … just put them on, and go!